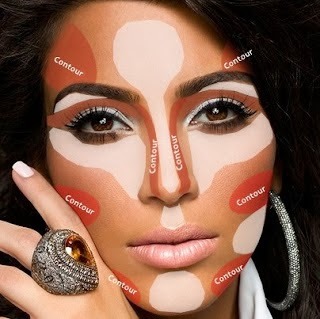 Contouring is one of the 'cosmetic' worlds best kept secrets. Sure, you're favorite celeb always looks flawless. Not such a hard task to achieve when you pay a professional to put your face on. With a few simple products, you too can look like you just went under the knife. Nose to wide? Double chin? Dark under eye circles? Dying for those killer, sky high cheekbones? For those of you who aren't familiar with highlighting and contouring your pretty, little faces; let me give you a quick peek. Promotional video coming soon.